Fox News: We report. You ddecide. This is the third business day in a row that Fox News has had an on-screen graphics fail. 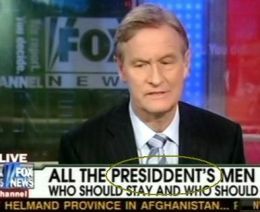 Today’s mistake came on Fox & Friends. See also: Yesterday’s mistake. And another from this past Friday. NTSB investigating 2nd near-collision involving Southwest—For the second time in two weeks, a Southwest Airlines 737 has narrowly-escaped colliding with another aircraft. Paris Hilton’s failure to promote ‘Pledge This!’—Paris Hilton: Guilty of failing to promote “Pledge This!”? Sandra Bullock worst actress, also the best?—She’s the worst. 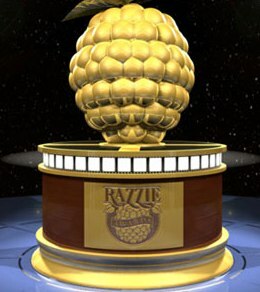 On Saturday night, Sandra Bullock collected a worst actress Razzie Award for her romantic comedy bomb All About Steve. Detroit Lions lose record-breaking 25th straight road game—The Detroit Lions set an NFL record this past Sunday by losing their 25th consecutive road game, falling 14-12 to the previously winless Buffalo Bills.